Didacta is Europe’s largest education trade fair with the sections early learning, schools/universities, vocational qualifications and digital learning materials it already shows you today how learning contents will be conveyed to the classes, years and groups tomorrow and how lessons will be conducted. 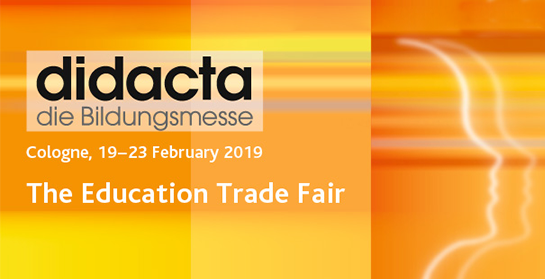 At the last Didacta in Cologne some 100,000 decision-makers from all educational sectors encountered around 800 exhibitors and over 1,500 lectures, workshops and seminars. After all, optimal learning has to be learned and supported. Kopano will be present from 19 to 23 February 2019 at this event and share its cases in the education sector.